Manufacturing companies have to keep abreast of established and emerging manufacturing technologies to take advantage of opportunities arising from the application of innovative technologies and to become aware of potential threats. Identifying and keeping track of available technologies at all times is a complex and very time-consuming task. However, in a competitive environment the capability to react to changing conditions quickly is crucial. 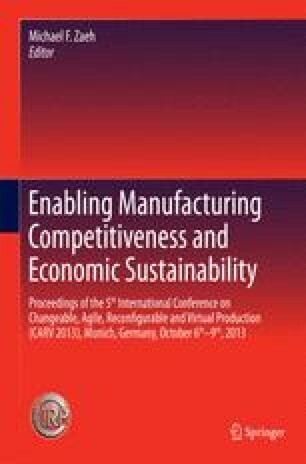 Therefore, this paper presents an approach called technology screening which combines technology identification and preselection according to the company-specific technology strategy and future manufacturing requirements.